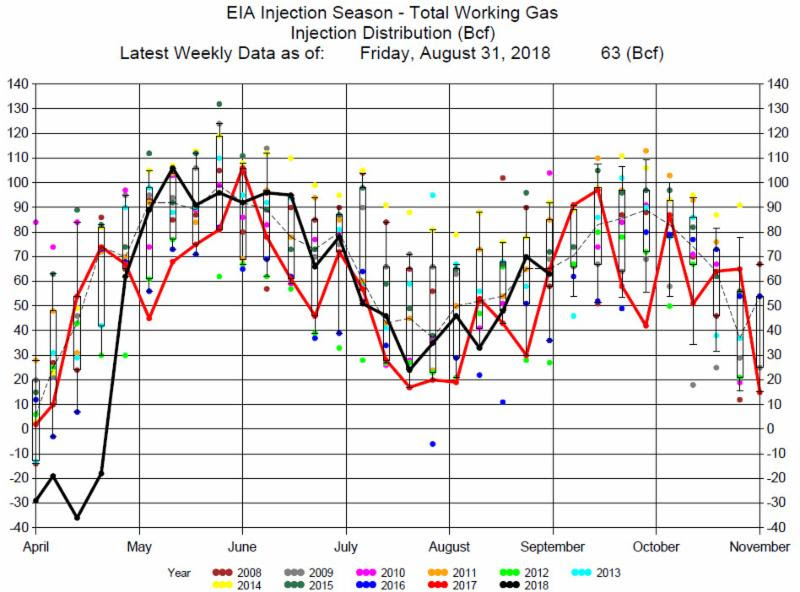 The EIA reported a 63 Bcf Injection for the week ending August 31, 2018. 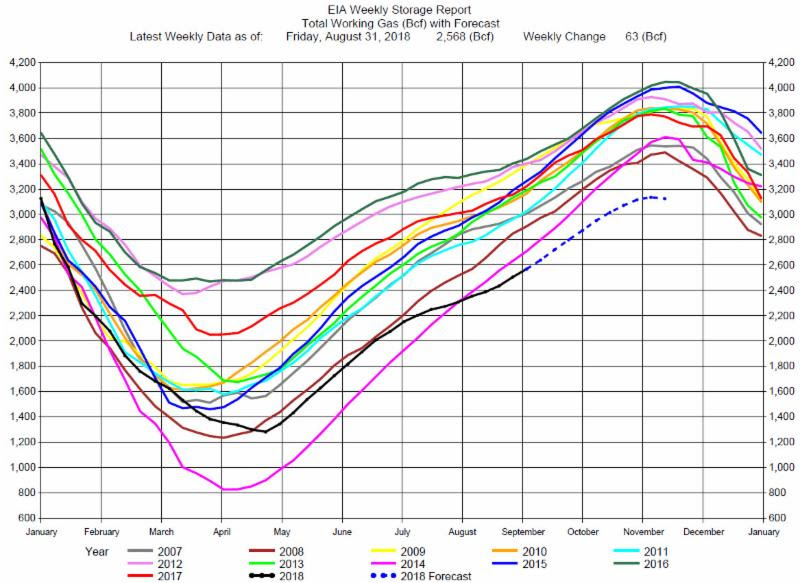 The injection was at the average for this week of the year, and close to the average of expectations of a 62 Bcf injection. 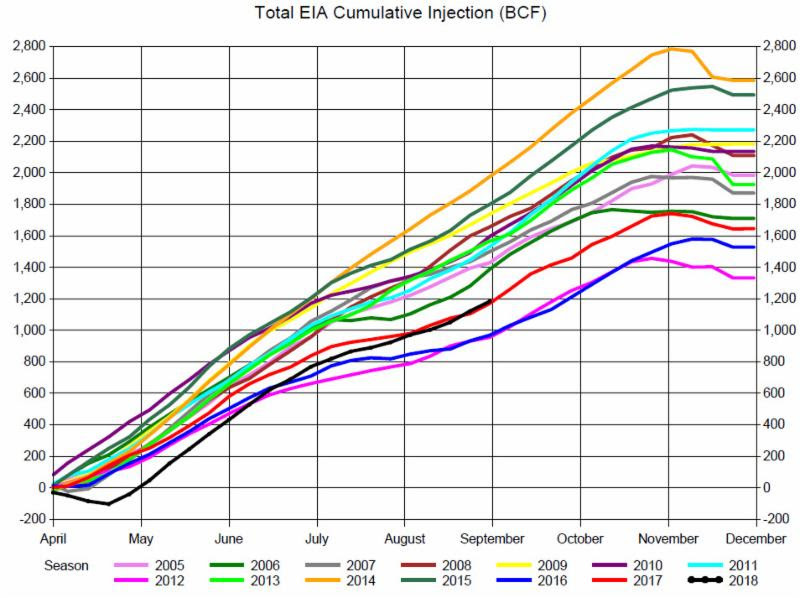 Expectations had a range from a 52 Bcf injection to a 68 Bcf injection. 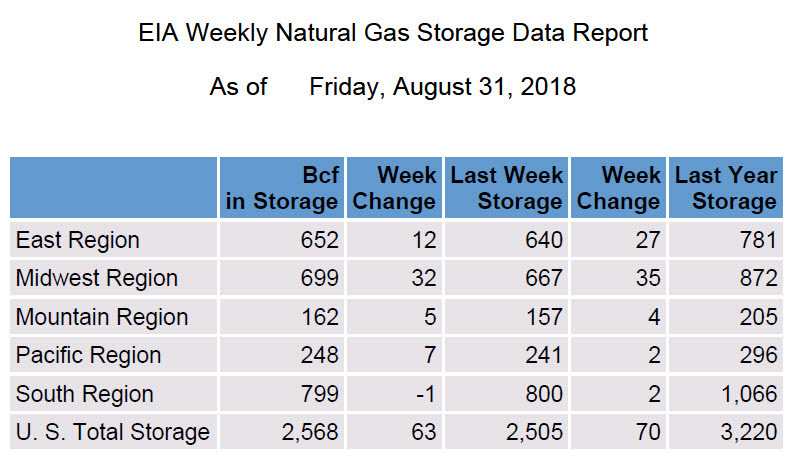 Because the storage numbers were at expectations prices were relatively unaffected with the release of the report and traded sideways through the remainder of the trading day, ending down about 1.5 cents for the day.